Cosmetic dentistry is based on the premise that healthy smiles are attractive smiles and vice versa. It is used to help patients achieve long-lasting, beautiful smiles. If your teeth are heavily damaged, it may be necessary to perform a number of procedures simultaneously to achieve a healthy and attractive result. We call that a full mouth reconstruction. Dental bonding can be used to take care of chipped teeth, cracked teeth, poorly shaped teeth, and gapped teeth as well as other common problems. It is economical, gives good results, and can be completed in a day. This tooth replacement option fills the gap in your teeth with a replacement tooth supported by dental crowns over neighboring teeth. Discolored teeth can make a person look old and unhealthy. Teeth whitening helps patients experience a dramatic rejuvenation of their smile to look many years younger and healthier, too. Dental implants are the tooth replacement option most like your natural teeth. Implanted in your jawbone, these tooth replacements are attractive, easy to care for, fully functional, and capable of lasting your entire life. Porcelain veneers can be used to give your teeth an entirely new visible surface. They can correct crooked teeth, gapped teeth, discolored teeth, chipped teeth, and more. There are two types of white fillings: porcelain fillings and composite fillings. Both are better than metal amalgam fillings, and the right one for you depends on your cosmetic and functional goals. Myofunctional therapy uses simple exercises to help treat many conditions related to the jaw and airway, including TMJ, sleep apnea, and orthodontic problems. Botox is an anti-aging treatment that relaxes overactive muscles in the face that can cause wrinkles. It is among the safest, most effective, and most popular beauty treatments available. Orthodontics is very effective at straightening teeth, but many people avoid it because they imagine it will be uncomfortable, unattractive, and inconvenient. New options like Invisalign and Six Months Smiles means orthodontics are better than ever. In the past, we had to send dental crowns off to a lab to be made. CEREC allows us to design and manufacture dental crowns in our office while you wait. Sleep apnea is a potentially life-threatening condition that can be treated to reduce risk of stroke, heart attack, car accidents, and more. Although many people are prescribed CPAP masks, we have a more comfortable alternative that is just as functional. Preventing dental problems is much better than trying to treat them. We encourage patients to have regular checkups and hygiene visits to prevent tooth damage and loss. Endodontic therapy—also called root canal therapy—is a highly effective procedure for repairing severely damaged teeth. Teeth saved in this way can last for decades beyond when they might have been lost. In addition to attacking your teeth, bacteria in your mouth can attack the gums. This can lead to tooth and bone loss, as well as contribute to health problems elsewhere. A new way to deliver prescription medication to gums affected by gum disease, these trays may be able to help you avoid surgical treatment for gum disease. While they are attacking your teeth and gums, bacteria give off smelly chemicals. Getting rid of bacteria is the only way to cure bad breath long term. Oral cancer can be successfully treated if detected early enough. Patients are encouraged to get screening appropriate to their cancer risk. From wisdom tooth removal to dental implant placement, we perform a range of oral surgery procedures to improve your health, comfort, and appearance. Family dentistry is a theory of dentistry that welcomes all manner of patients, from the very young to the very old. We love getting to know our patients and their families. Mouthguards are a vital piece of protective equipment, but Pure Power Mouthguards do more than just protect: they hold your mouth in an optimal position so your muscles can focus on what you really want. It’s not just athletics that are affected by a poorly positioned jaw. If your jaw is out of alignment, it can cause headaches, jaw pain, back pain, ringing in the ears, and more. We provide a new advancement in denture design called the Denture Fountain of Youth®. These dentures naturally to your face, which not only provides you with a better fitting, more functional denture, it also makes you look years younger! Many people are afraid of the dentist, but oral sedation helps them overcome their fear and be relaxed at the dentist. It is sometimes called “sleep dentistry,” but you’re actually awake the whole time and can respond to questions. Wisdom teeth are a natural developement that can sometimes cause issues in your mouth. Impacted teeth, overcrowding, and poor dental hygiene are some of the reasons why you may need them extracted. Life can cause your gums to receed and expose too much of your teeth. With the Chao Pinhole® gum surgery technique, we can help turn back the clock on your smile and give you full, healthy gums! The DNA Appliance reshapes your jaw and may be able to completely cure your sleep apnea. It can also improve the appearance of your smile and give you a more attractive profile, too. Are you looking for an orthodontic approach that can change your face shape? ControlledArch orthodontics can improve your profile, reshape your chin, and perform other corrections of your facial appearance. And it can work in just six months! 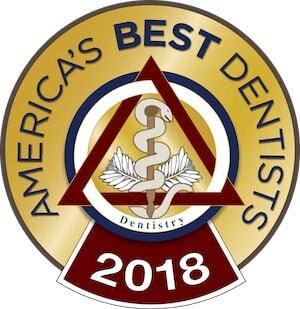 Holistic dentistry looks at the interconnections between oral and overall health to provide the best dental care. Our goal is not just the absence of disease, but true wellness of your mouth and body. Neuromuscular dentistry is the study of your bite system. It can help if you’ve ever had a bite that just feels off or experience jaw pain, headaches, and other symptoms of TMJ.